This Mind Map diagram template is created for presentation purposes and consists of several aspects: the mind map diagram itself; a text box for additional information about the main idea of the diagram; and a color legend allowing better differentiation between the different stages of the thinking process. 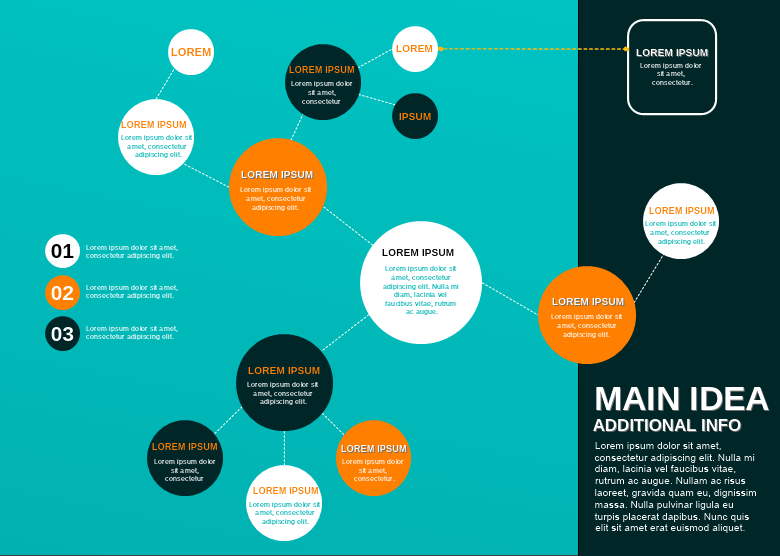 The Mind Map diagram template can easily be editing simply by rearranging the circles or copy/pasting the existing ones to add new. To edit the text simply double click on it and start typing.